For starters, the Crows did not lose anyone in the AFLW’s expansion, though they did lose dynamic forward Ruth Wallace for personal reasons and young tall Jess Allen to work commitments — disappointing losses, but far less than most clubs suffered. Secondly, not only did Adelaide have a reasonable draft, but they landed a number of impressive names in the pre-draft signings as well. Starting with the midfield, to Phillips and Marinoff will be added gun teenager Nikki Gore — a classic small midfielder with great agility and clean hands, Gore should have an immediate impact. Also added will be Renee Forth from GWS, and Sophie Li from Carlton. Forth was a former marquee player for the Giants, but never realised her full potential there following an ACL injury. 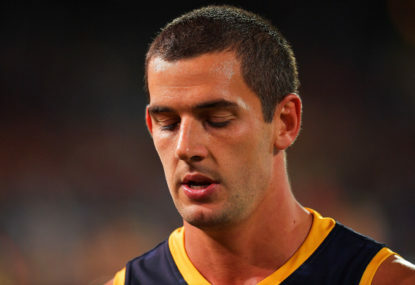 How effective she’ll be for the Crows depends on how far her recovery has come (she played last season, but was far below her best) but if she’s healthy, she’s very good. Li was runner-up in the SANFLW best-and-fairest in 2017, and proved a handy player in Carlton’s midfield-deprived lineup. She’ll be a depth player for the Crows rather than a star, but in the AFLW, depth is vital. This influx of midfielders raises the question for new coach Mathew Clarke of what to do with youngster Eloise Jones. 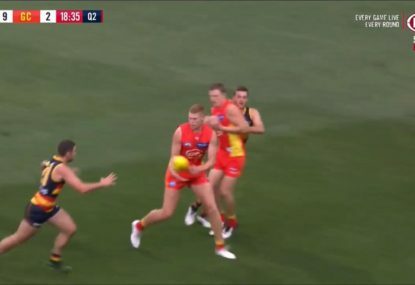 Jones has probably the best disposal in the team and the potential to be a star, but last year as a rookie was played mostly in a forward pocket. 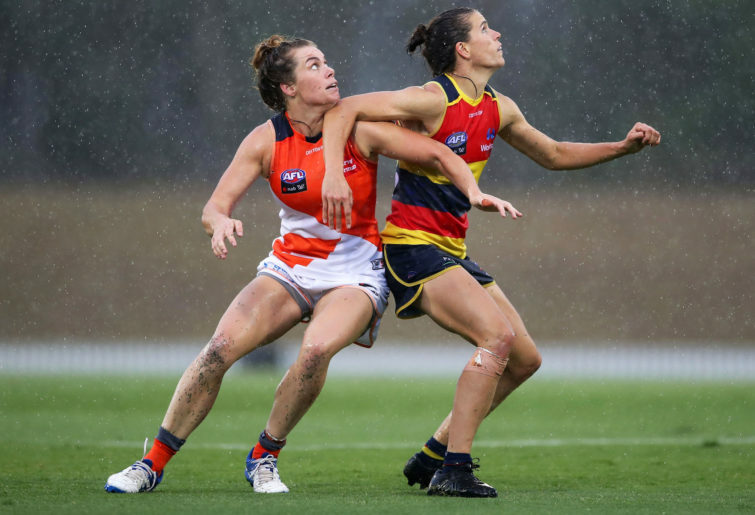 Clarke could put her in the midfield, and risk her inexperience, but she’ll need to put on some muscle first – or Clarke might prefer to let her develop in the forward line for another year, as the former basketballer has a big leap and can take a grab. This is an illustration of the kind of happy dilemmas Clarke is now faced with as coach of an increasingly deep and talented team — the kind of dilemmas that seemed a long way away in the AFLW’s first season. The fact that many coaches are now facing these kinds dilemmas suggests that the AFLW’s expansion pace was not too ambitious after all. Adelaide’s backline remains mostly unchanged, with Chelsea Randall, Angela Foley and Courtney Cramey the stalwarts. Two years ago, Randall was head and shoulders the best player of that trio, but lately Cramey has closed the gap a little, and Foley has closed the gap a lot, to the point of becoming a genuine star in her own right. 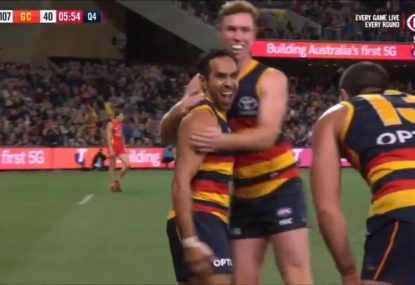 After those three, however, the top talent thins out fast; an illustration that Adelaide’s major problem in their first two seasons — the gulf between their best players and the rest — has not yet entirely vanished. 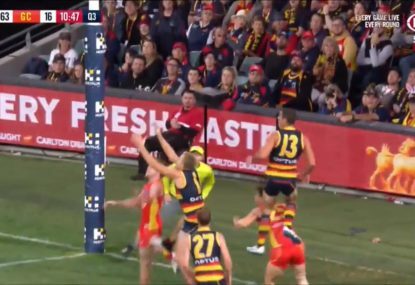 Up forward, the Crows look potent on paper, but many question marks remain. Jasmine Hewitt is a tremendous tall athlete who took up the game just recently, and could be due for a breakout season, but is she ready yet? Ailish Considine is another Gaelic football recruit, and will likely play forward, but not every Irish player is Cora Staunton — can she be effective immediately? Newly drafted youngster Chloe Scheer was SA’s outstanding junior for several years before doing her ACL on the verge of last season’s draft — is she fully healed, and what will her level of football be after a year on the sidelines? And has the evolving women’s game passed Sarah Perkins by, as seemed the case last season, or does she still have some seasons left at the national level? Of all these questions, the ones surrounding Scheer are by far the most interesting — she has the potential to be a dominant player in the AFLW, and if she’s back to full health will be a real weapon at half-forward or pushing into the midfield. 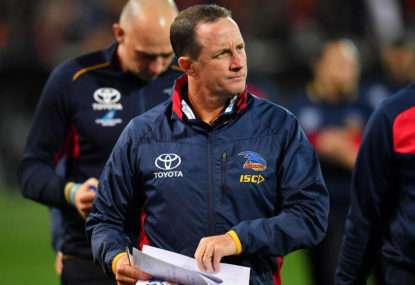 If all of these questions work out in the Crows’ favour, it will be hard to stop Adelaide from winning their second flag in three years, particularly with the crazy star power of a healthy Erin Phillips. But I’m not sure their backline is quite deep enough to consistently stop some of the more dangerous attacking teams this season, and their own forward line, though talented, seems unsettled.